Gorchels, Linda. The Product Manager’s Handbook. McGraw-Hill. 2011. If there was such a thing as a product manager textbook, this is probably it. Breaks down product management practically and is a good starting point for the basics from pathfinding to product delivery. Shan, Carl. 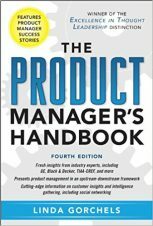 The Product Manager Handbook. thepmhandbook.com. 2013. Contains interviews with product managers from Facebook, Google, Microsoft, Twitter. Learn through case study and anecdotes. Reinertsen, Don. 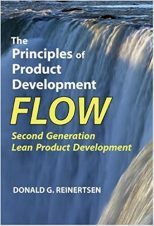 The Principles of Product Development Flow. Celeritas Publishing. 2009. Starting from Lean Manufacturing and pushing it futher, this book serves to provide practical approaches to building better products. Mauboussin, Michael. The Success Equation. Harvard Business Review Press. 2012. 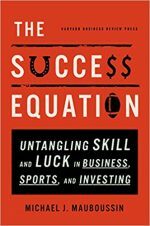 The Success Equation is moreover a business book relating two important factors: skill and luck. You need both and you need to understand them in order to make better decisions.